"Residue analyses on a grinding tool recovered at Grotta Paglicci sublayer 23A [32,614 ± 429 calibrated (cal) B.P. ], Southern Italy, have demonstrated that early modern humans collected and processed various plants....the exploitation of plant resources was very important for hunter–gatherer populations, to the point that the Early Gravettian inhabitants of Paglicci were able to process food plants and already possessed a wealth of knowledge that was to become widespread after the dawn of agriculture." "Researchers from the University of Florence in Italy have found residue of oats on a Paleolithic grinding tool found in southern Italy, at a site known as Grotta Paglicci. The finding not only expands current knowledge about what real Paleos ate, but also how they ate it—our ancestors processed foods more than originally thought. "The pestle-grinder tool was found in 1989 and identified as being about 32,000 years old. In the course of the researchers’ study, it was sampled twice, in 2010 and 2012, to identify any residues. In one of the samples, researchers identified as many as 250 starch grains per square centimeter. 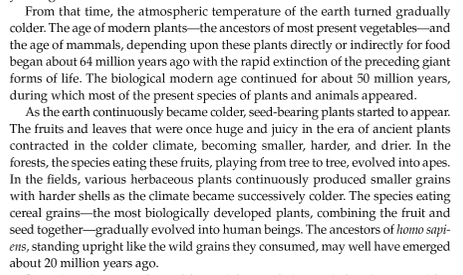 So much for the hypothesis that humans did not consume whole grains or starch-based diets prior to 10 thousand years ago. 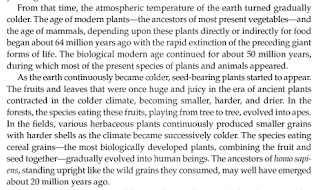 Since humans were heat-processing and grinding grains of grasses and "heavy plant eaters" 32,000 years ago in southern Italy, and there is evidence for use of grass seed consumption extending back 100,000 years, as well as evidence that African hominins obtained 55% of their diet from grasses and sedges by 1.4 million years ago [and even 3-3.5 million years ago], it seems that humans have eaten a grain-/grass-based diet for millions of years in order to obtain the starch required to fuel their brains. 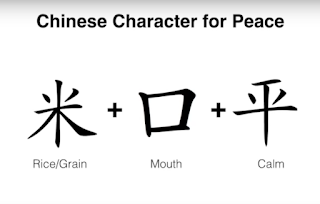 Human dependence on whole grains for millions of years has resulted in a dietary requirement for phytates present in whole grains and legumes, as supported by the evidence I presented in the following video. The importance of whole grains to human health and happiness did not escape the Chinese. 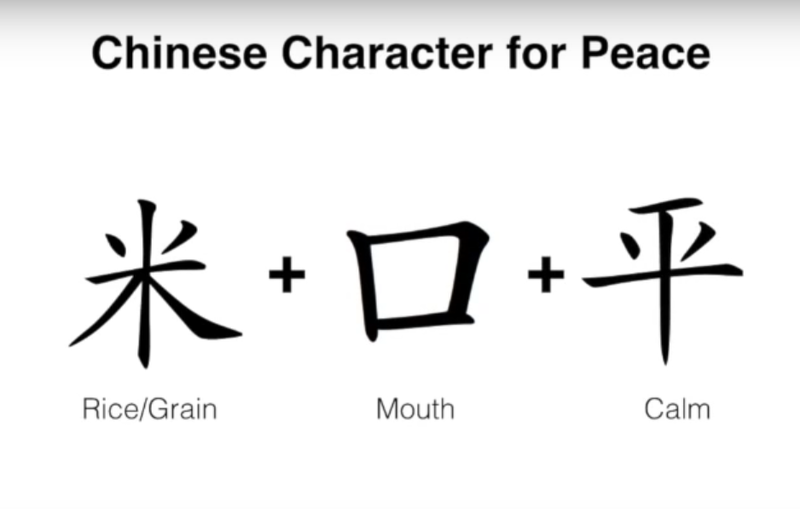 The Chinese character for "peace" is composed of the characters for mouth, cereal grains, and calm. 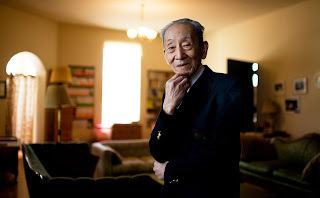 Chinese sages recognized that consumption of cereal grains brings peace to the body, the mind, and human society. 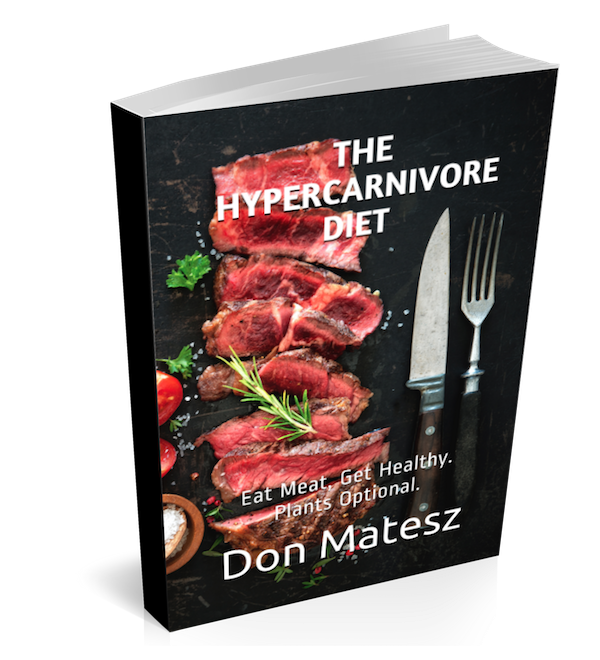 Macrobiotic teacher Ed Esko talks a bit about the psychophysiological effects of eating whole grains compared to those of eating dead animal carcasses in this video I made. Humans are symbiotic with whole grains. We can reclaim our health, happiness, and heritage by returning to a diet based on whole cereal grains. Ötzi the Iceman, who lived around 3,300 BC seemed to eat a lot of grain. Analysis of Ötzi's intestinal contents showed two meals (the last one consumed about eight hours before his death), one of chamois meat, the other of red deer and herb bread. Both were eaten with grain as well as roots and fruits. The grain from both meals was a highly processed einkorn wheat bran, quite possibly eaten in the form of bread. In the proximity of the body, and thus possibly originating from the Iceman's provisions, chaff and grains of einkorn and barley, and seeds of flax and poppy were discovered, as well as kernels of sloes (small plumlike fruits of the blackthorn tree) and various seeds of berries growing in the wild.